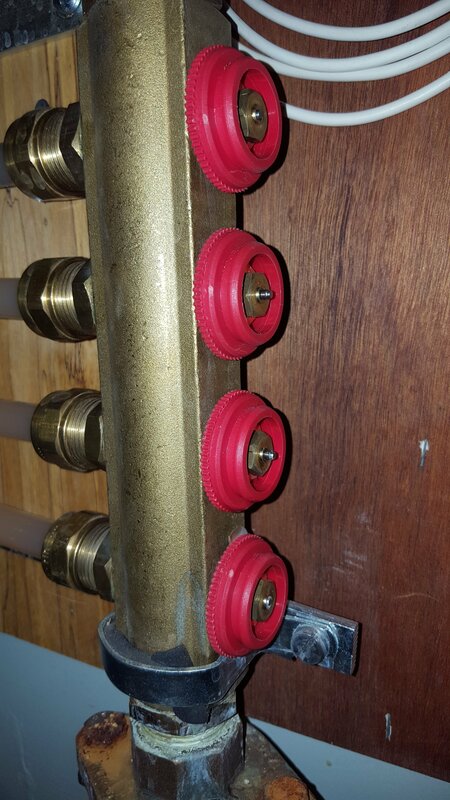 How to repair or replace these two stuck valves? Greetings! Attached are two pics of a portion of the supply side of my boiler manifold. 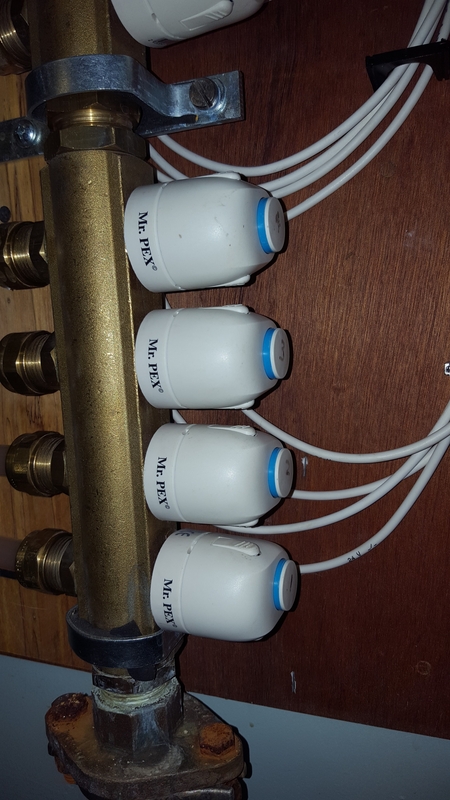 No laughing at my old Mr. Pex actuators, all of which work perfectly! The bottom two circuits (1&2) are controlled by one thermostat. The top two (3&4) by a different thermostat. As you can see, all four actuators responded to a call for heat and opened fully. After removing the actuators, you can see that only valve 2 & 3 are open, while 1 & 4 appear to be stuck shut. BTW, all have been operating perfectly for 12 years so far. What is my next move here to repair/replace these two stuck valves? The company I ordered all of this equipment from is long ago defunct, so I need a source, what to ask for, etc. Do the valves match the actuators by brand or style, or is there a generic replacement that will work? This is one operation I haven't done before, so any advice or steps would help. Thanks up front! A fairly simple valve mechanism. Often just taking them out, clean the stem, lube with silicone and replace. Check the fluid when you drain, cruddy fluid is what causes them to stick. A good flush, cleaner and refill with low TDS water could avoid future sticking. Contact Mr Pex for replacements should you find a torn o-ring or stem seal. I appreciate the help, hot rod. Thank you! > A fairly simple valve mechanism. Often just taking them out, clean the stem, lube with silicone and replace. > Check the fluid when you drain, cruddy fluid is what causes them to stick. A good flush, cleaner and refill with low TDS water could avoid future sticking. > Contact Mr Pex for replacements should you find a torn o-ring or stem seal. How do you change them out? Mine is leaking and I have no clue how to change them. Do I need to drain and bleed the manifold? Please help! !